The 2014 Blue Mountains Charleston Challenge has officially beaten its own Guinness World Record. The community dancing event was held in Leura Mall thanks to Leura Village Association on February 2 as part of the Blue Mountains Lithgow & Oberon Tourism annual Roaring 20s Festival and all that Jazz!. 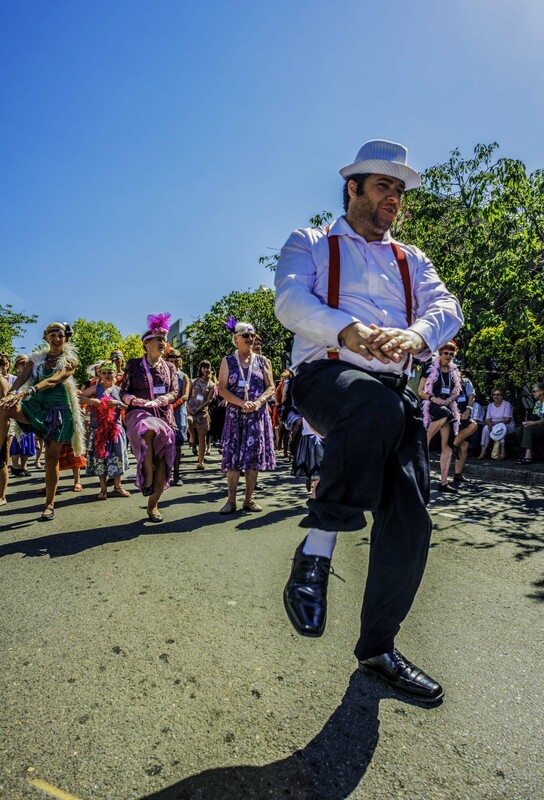 Participants travelled from as far afield as the NSW Far North Coast and Queensland dressed in 1920s gear eager to high kick the previous record of 276 participants set at the 2013 attempt. 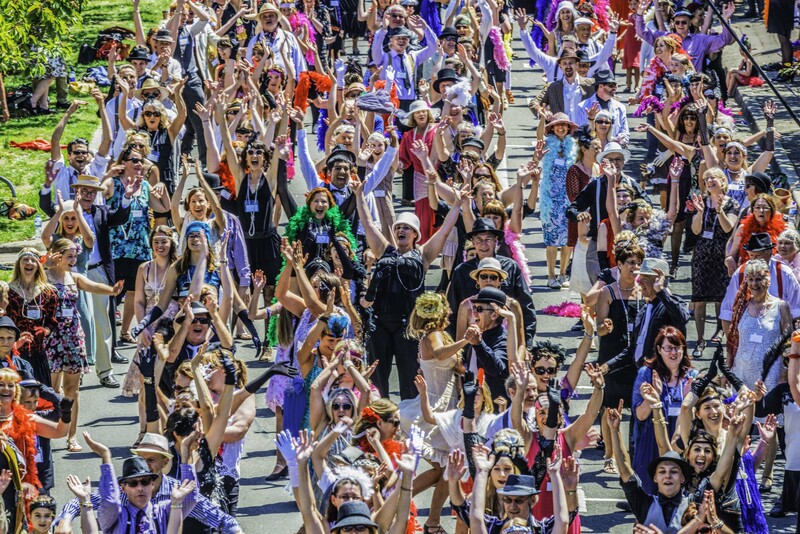 After months of anticipation and submitting a copious amount of written, photographic and film evidence of the attempt, confirmation of the “Largest Charleston dance’’ in history was received from Guinness Book of World Records in England by the official regional tourism organisation on August 12. 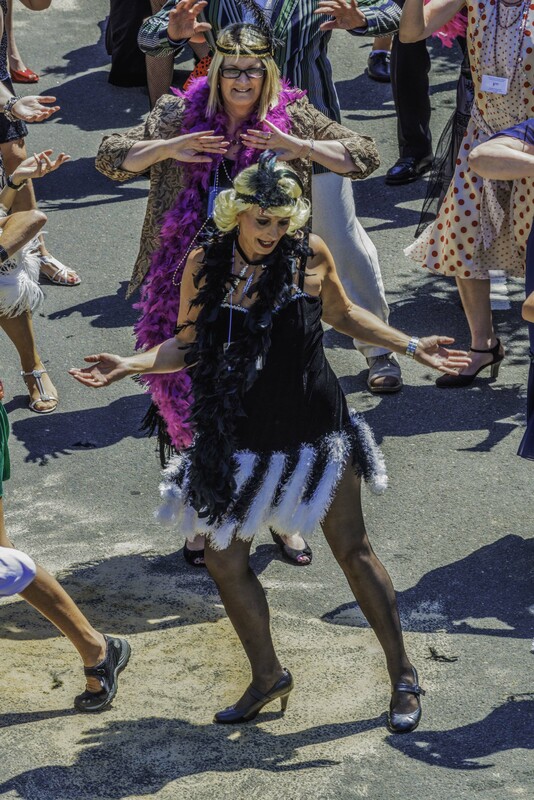 Roaring 20s Festival director Sandy Luxford thanked all participants during the past three challenge attempts: “Not only have people continued to take part, they have brought friends with them, determined to set higher records each year. 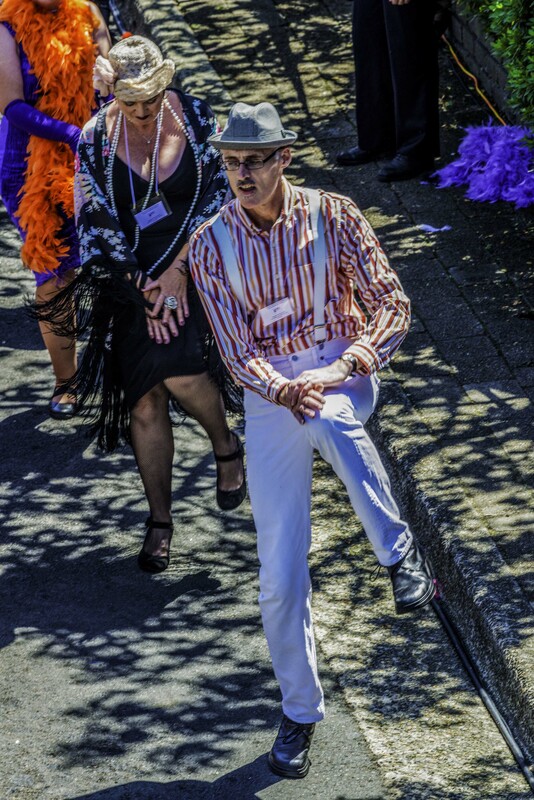 BMLOT chairman Daniel Myles said: “The Roaring 20s Festival is a marvellous showcase of the region and gives people yet another chance to kick their heels up and party – how very 1920s, how very tourism and hospitality. 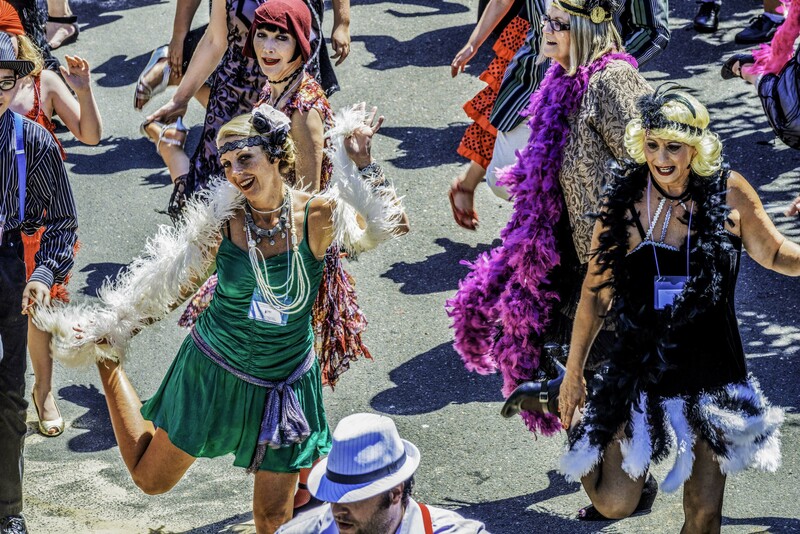 The Blue Mountains Charleston Challenge has traditionally launched the Roaring 20s Festival and all that Jazz, which will again be held at various venues throughout the Blue Mountains, Lithgow and Oberon region throughout February 2015. The 2015 Blue Mountains Charleston Challenge will be held on Saturday, February 7, when it is hoped the record will be smashed once more with 350 dancers. “This is a great opportunity to plan ahead, book a bed at one of the many accommodation venues in the area and really let your hair down and relive the 1920s,’’ Mr Myles said. 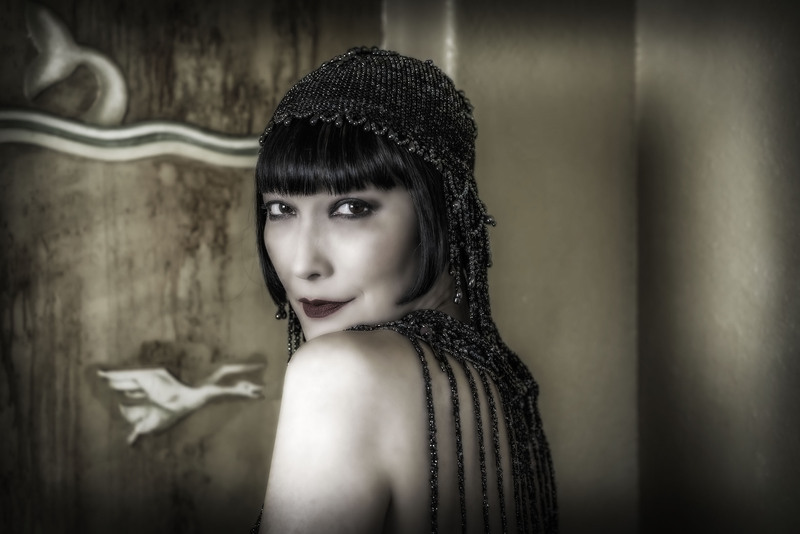 The Roaring 20s Festival and all that Jazz pays homage to the decade when the region cut loose in an endless round of hedonism – sumptuous architecture, costume balls and high teas, saucy clothing, outrageous (for the time) dancing and jazz music. Go to http://www.roaring20s.com.au for more information about the Roaring 20s Festival and all that Jazz. Relive the day the Duke and Duchess of York visited Jenolan Caves. 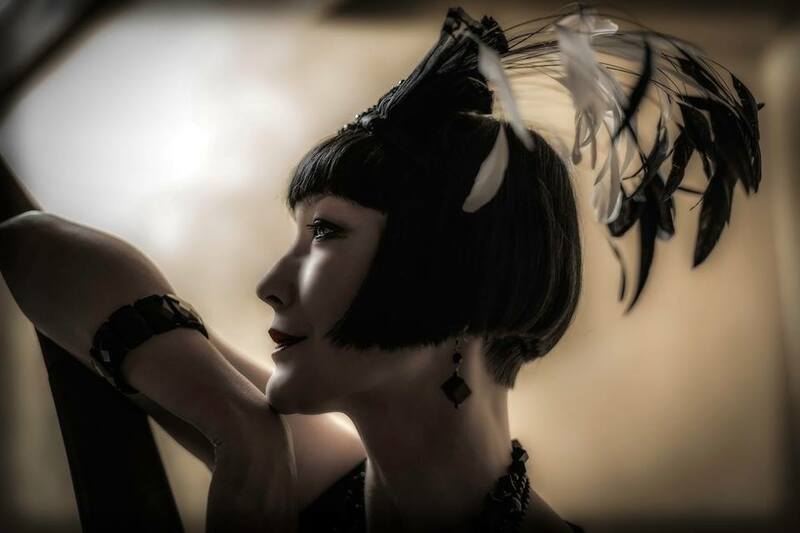 Relive the era of the Great Gatsby, ragtime music, flappers and royalty as part of the Roaring 20s Festival and all that Jazz at Jenolan Caves on Sunday, February 16. 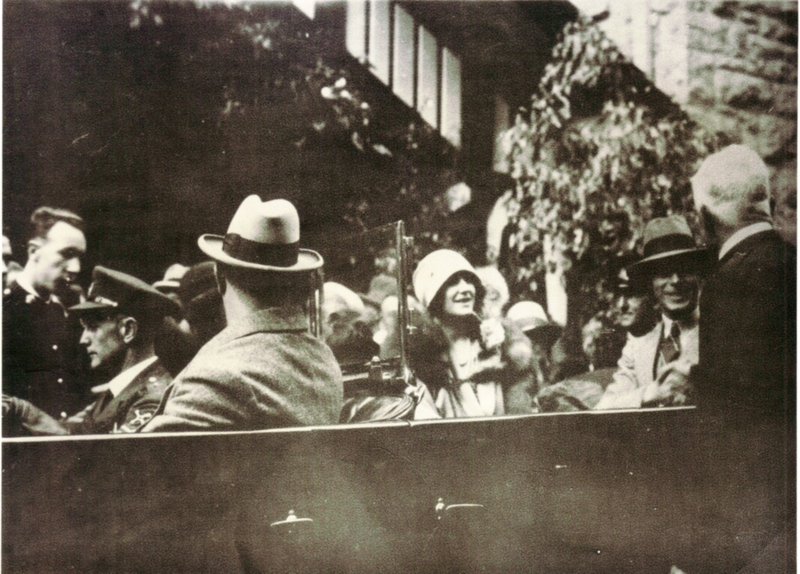 Visitors to one of the most magnificent cave systems in the world can step back to the day the Duke and Duchess of York, (later King George VI and the late Queen Mother) visited Jenolan Caves and stayed the night at Caves House – March 31, 1927. The caves will celebrate the royal visit with an historic cave tour, traditional high tea and a tour of Caves House. Retrace the steps the royal party took through the very cave they visited, the Left Imperial, exploring sections they would have seen but not generally open to the public today. In fact, browse the www.jenolancaves.org.au website and you won’t find the Left Imperial Cave. It was renamed the Chifley Cave in 1952 after former Australian Prime Minister and good friend of Jenolan Caves Ben Chifley. This cave boasts two firsts: in 1880 it was the first cave to be lit by electric light and was the first one anywhere in the world to be visited by the future king and queen. Your guide for the day will be George Brown, one of the longest serving guides at Jenolan (he is listed on the honour board in the Guides Office). The 1.5-hour cave tour will begin at 11.30am. Tickets: $37 adults, $27 concession/children and $90 families. Following their evening inspection of the cave, the royal couple sat down to a sumptuous 15-course banquet in the grand dining room at Caves House. A momento of their visit, a signed copy of the menu hangs in the room today. Relive that time at 1pm by sitting down in the timeless elegance of the House to a sumptuous traditional high tea with musical entertainment by the fabulous New Empire Ballroom Ragtime Dance Orchestra. The orchestra will play in the authentic tradition of the hot dance orchestras which sprang to prominence after World War I with tunes such as the Black and White Rag and Yes Sir that’s My Baby. Unlike some councils in the 1920s which tried to ban the Charleston because it was “danced by scallywags”, no such discouragement will be made to any dancers on the day in 2014. Then at 3pm, take a behind-the-scenes tour of heritage listed Caves House, built between 1898 and 1923. Designed by the Government Architect Walter Liberty Vernon, it is one of the finest examples of his work. The one-hour tour will be free with your traditional high tea. To book the cave tour and traditional high tea phone 1300 076 3311 or (02) 6359 3911 then follow the prompts for “cave tours” or ; phone Ticketmaster on 136100 or go to www.ticketmaster.com.au to book the traditional high tea only. 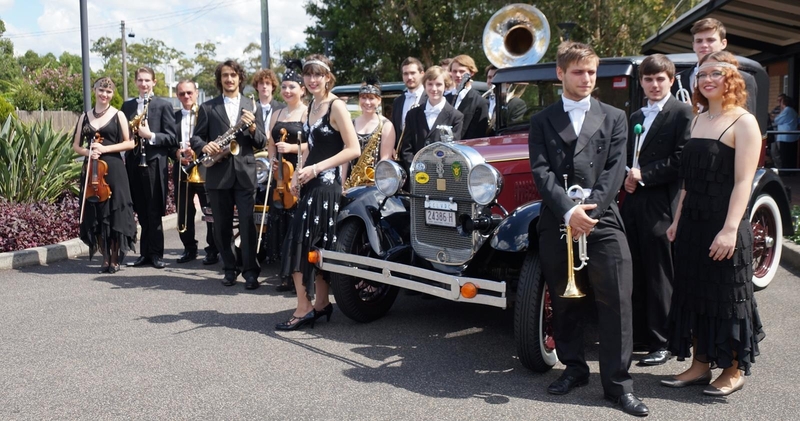 The New Empire Ballroom Ragtime Dance Orchestra will perform at Ragtime and Royalty at Jenolan Caves on February 16. The Blue Mountains Charleston Challenge on Saturday, February 1, smashed it own Guinness World Record for the largest Charleston dance on the planet. More than 300 dancers clad in 1920s era garb gathered in Leura Mall in the Blue Mountains to perform the Charleston, a dance deemed a little bit naughty in the age of flappers and gangsters. 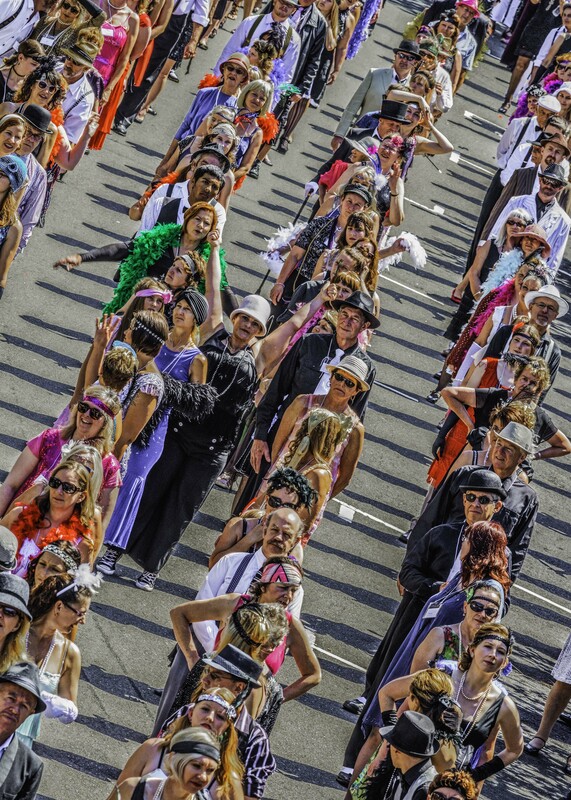 Last year the Blue Mountains Charleston Challenge set a new Guinness World Record with 276 dancers. This year, the target was 300. Under glorious blue skies, an overwhelming 319 people registered to take part in the official record attempt to high kick last year’s record including Blue Mountains State MP Roza Sage, Macquarie Federal MP Louise Markus, festival patron and TV presenter Claudia Chan Shaw and festival ambassador Charlotte Smith (owner of the Darnell Collection of International Vintage Couture). Festival producer Sandy Luxford said: “I’m thrilled, of course. While we would have retained the world record title regardless, it is extremely satisfying to have set a new record – and we like being told we are `officially amazing’ by Guinness World Records. “What has made the Blue Mountains Charleston Challenge such a success is that it is fun, costs virtually nothing and really is for the whole community. “You don’t have to be a professional dancer or wear expensive vintage clothes to be part of the challenge. You just need to have a go for five minutes. “We have people here of all shapes and sizes, young and old, male and female and of all demographics. While the record attempt must now be verified by Guinness World Records in England, Ms Luxford said she was “quietly confident’’ it would be confirmed. BMLOT chairman Randall Walker congratulated all involved in the challenge including Leura Village Association and welcomed the addition of the Long Lunch in Leura Mall as a major festival event. “The 1920s era is all about living for the moment and having fun and that is what we hope you take away from this. Welcoming the crowd, Blue Mountains Mayor Mark Greenhill thanked the many visitors to the Blue Mountains for “giving us the tonic we need’’ after recent hardship and injecting financial and emotional energy into the local economy, especially the tourism industry. He urged locals and visitors to become ambassadors for the area, share their positive experiences with family and friends and encourage others to visit the Blue Mountains. 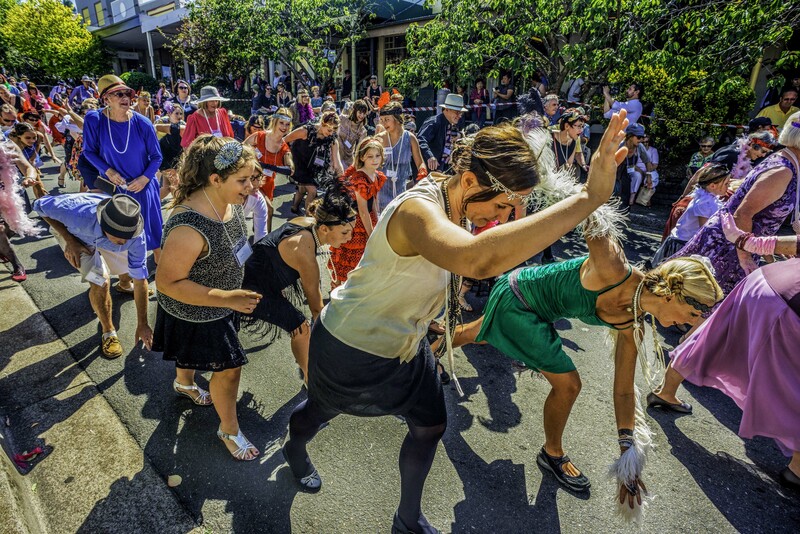 The annual public dance challenge officially kicked off the Blue Mountains Lithgow & Oberon Tourism (BMLOT) popular Roaring 20s Festival and all that Jazz!, at various venues throughout the Blue Mountains, Lithgow and Oberon region until February 23. Money raised on the day will be donated to the Rural Fire Service. The festival celebrates the golden era of opulence, architecture and jazz music with events throughout the Blue Mountains, Lithgow and Oberon region throughout February including the Highlands, Steam & Vintage Fair at Oberon; Glamour & Gowns Ball at Lithgow; Grand Afternoon Tea at The Paragon; and 1920s Ragtime and Radio Plays at the Mountain Heritage Hotel. Go to www.roaring20s.com.au to book events or details about accommodation packages during the festival. The 1920s was a time when tourism and travel was a popular craze, and it was to the Blue Mountains the throngs came in droves. 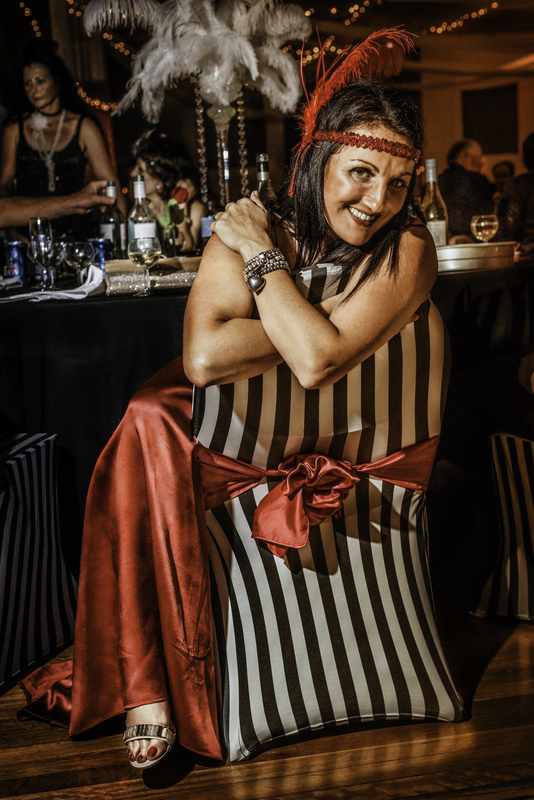 Experience that halcyon age of opulence and elegance through these 1920s-style activities and more during the Roaring 20s Festival and all that Jazz! from February 1 to 23 at various venues throughout the Blue Mountains, Lithgow and Oberon region. The annual festival celebrates the era when Australia’s first tourist destination kicked up its heels for a decade-long party. 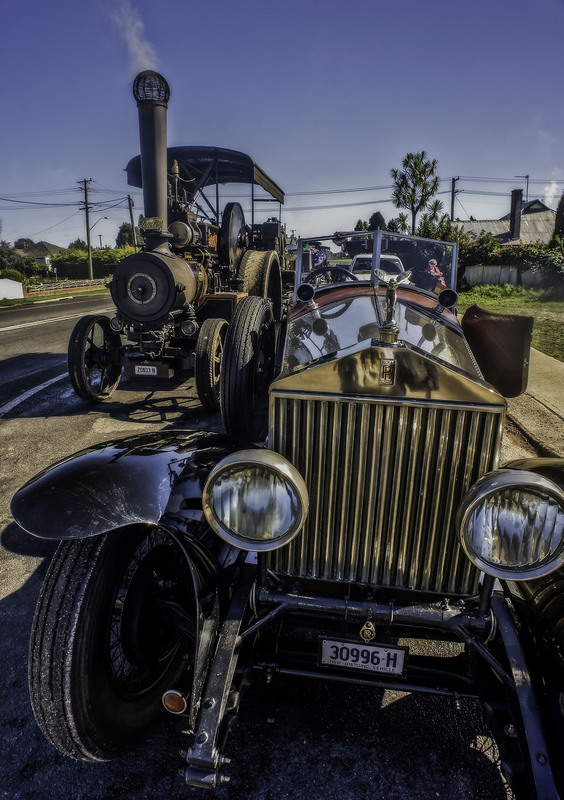 Highlands Steam & Vintage Fair, Oberon (10am, February 8): Experience the grunt, hiss and clank of industrial steam power. 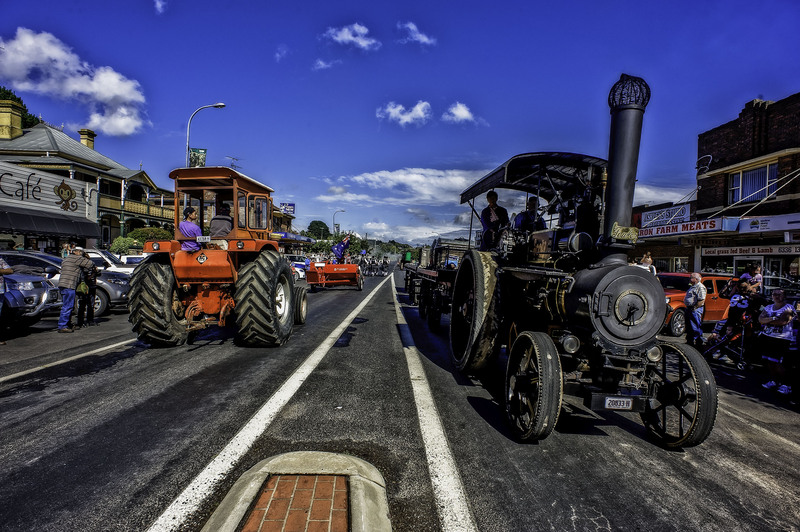 Highlights will include a grand rally of heritage vehicles and road steam engines through the main street; a heritage tractor pull; timber working displays and market stalls; a steam organ; and vehicle and machinery displays. Cost: Cost: adults $10, $5 concession/children, $25 family. 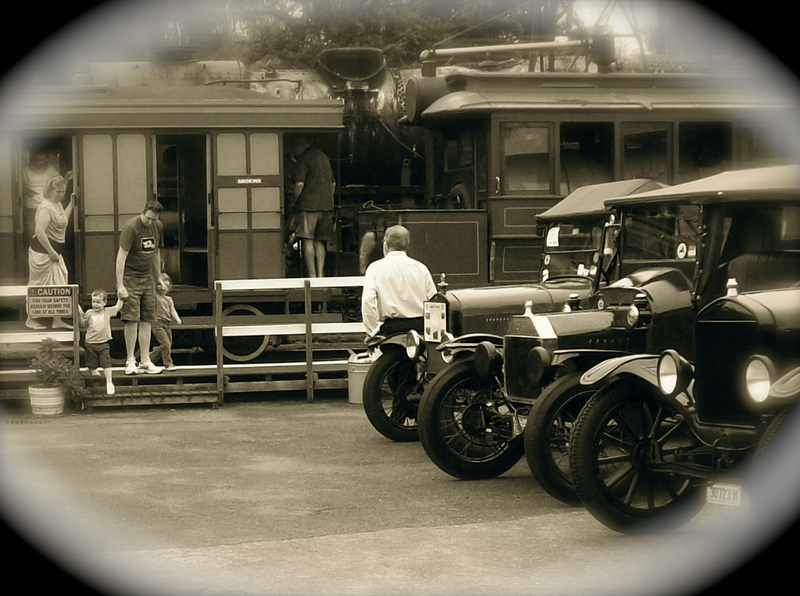 Trains, trams and model T’s at Valley Heights. Trains, Trams & Model T’s in the 20s, Valley Heights Locomotive Depot Heritage Museum, Tusculum Rd (10am-4pm, February 1-2): Experience transport in the 1920s at Valley Heights Locomotive Depot Heritage Museum which opened in 1913, 100 years after the first European explorers crossed the Blue Mountains. Visitors will be able to ride on the steam tram, amble around displays of historic cars and enjoy morning or afternoon tea. Cost + booking fee: $14 adult, $12 concession $12, $10 school student, children under-4 free, $45 family (2 adults + 2 children) includes museum entry and unlimited train rides. Blue Mountains Ukulele Festival, Carrington Hotel, Katoomba St, Katoomba (February 8): The Blue Mountains Ukulele Group presents one of the most fun and unique events of the year. On February 8 there will be performances and workshops from acts from across Australia. Workshops are for all levels from beginners to advanced including an introduction to songwriting. Cost: free. 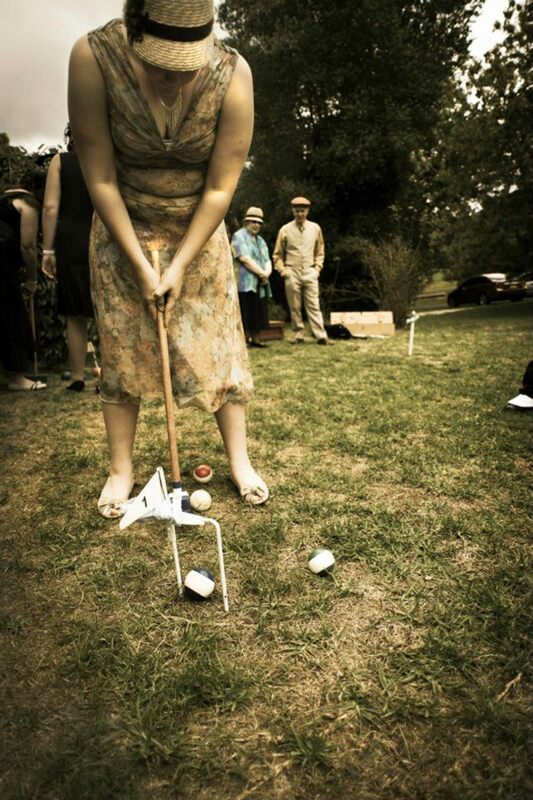 Mallet Sports & Croquet on the lawn, Prince George and Clanwilliam streets, Blackheath (1pm-4pm, February 9 and 15): Blue Mountains Croquet Club will hold quintessential 1920s-style sports for the whole family. Dress in your finest period garb and try mallet sports on February 9 and croquet on February 15, along with gateball and g-ball for kids. Cost: $5, afternoon tea available for a gold coin donation. It’s the day of the Blue Mountains Charleston Challenge in Leura Mall, but what do Sophie, Mabel and Dolly, George, Bertie and Henry wear? For that matter, what do they don to schmooze with society’s elite at the Great Art Deco Ball at THE place to be seen, The Carrington Hotel? 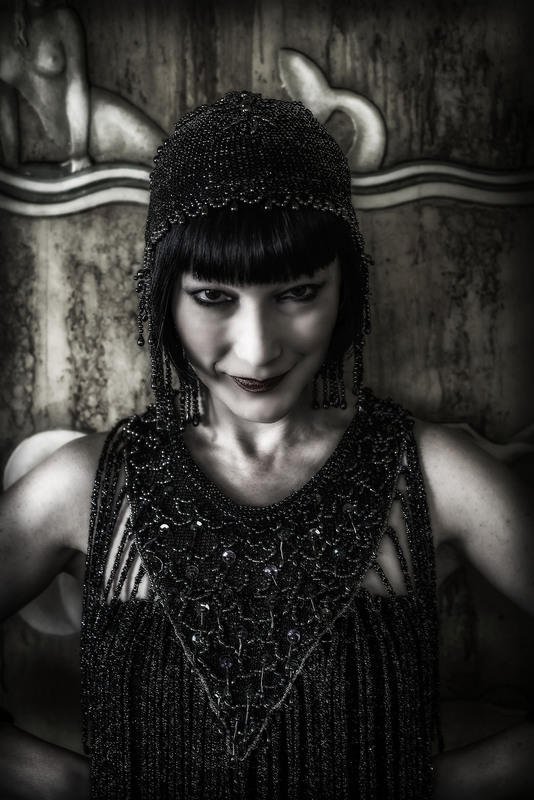 Enter Roaring 20s Festival and all that Jazz! ambassador Charlotte Smith, Leura fashion historian and curator and owner of The Darnell Collection of International Vintage Couture, the largest private collection of international couture clothing from the 19th and 20th centuries. “The easiest thing for women is to get a dress with no waist (it could even be a pretty silky nightgown or a slinky slip),’’ she said. The effect could be completed with a long string of beads around your neck and a ribbon or headband around your forehead set with a jewel or some other bauble. Men should wear an unfitted suit – “tailored but not snug’’. Alternatively, golfing plus fours or linen trousers would be acceptable. Hats should be a homburg, fedora or a golfing cap. Roaring into a 20s costume drama, Grand Ballroom, Carrington Hotel, Katoomba (2pm-4pm on Sunday, February 2): Join Charlotte Smith and Underbelly TV series costume designer Louise Wakefield as Louise reminisces about her behind-the-scenes adventures dressing the cast for murder and mayhem in Australia’s underworld in the 1920s. Sumptuous outfits from the Darnell Collection will be paraded by models for an up close look at fashion in the “roaring 20s’’. A lavish high tea will follow. Cost: $57 high tea & talk/fashion parade + $2.50 booking fee, $27 talk/fashion parade only + Booking fee. The Great Art Deco Ball, Grand Dining Room, Carrington Hotel, Katoomba (7pm-11pm, February 1): Includes a three-course dinner, three-hour beverage package and entertainment from Greg Poppleton and his Bakelite Broadcasters. Kick up your heels and party in your 1920s finery to be in the running for a swag of Best Dressed prizes. Cost: $100pp + booking fee. 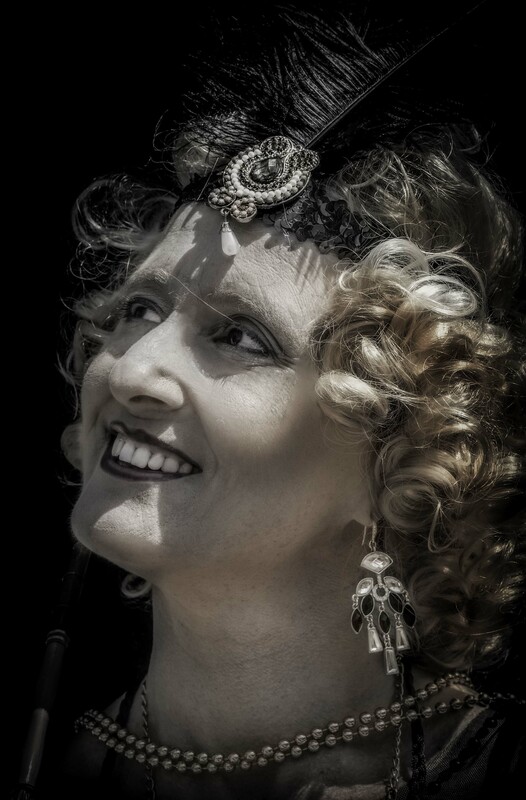 Roaring 20s Glamour & Gowns Ball, Civic Ballroom, Tony Lucetti Sportsground, Lithgow (6.30pm, February 15): NSW Governor Her Excellency Professor Marie Bashir and Sir Nicholas Shehadie will be guests of honour at this night of excitement, glamour, gorgeous gowns and debonair suits. The evening will begin with champagne and canapés followed by a two-course dinner before guests dance the night away to live music. Cost: $80 pp + booking fee. Retro 2014 Cocktails & Canapes, Everglades Historic House & Gardens, Everglades Ave, Leura (5.30pm, February 15): Enjoy cocktails and canapés in the romantic setting of the Everglades garden. Don your 1920s attire and be in the running for prizes for Best Dressed Woman and Best Dressed Man. Cost: $35 per person, $30 National Trust members. 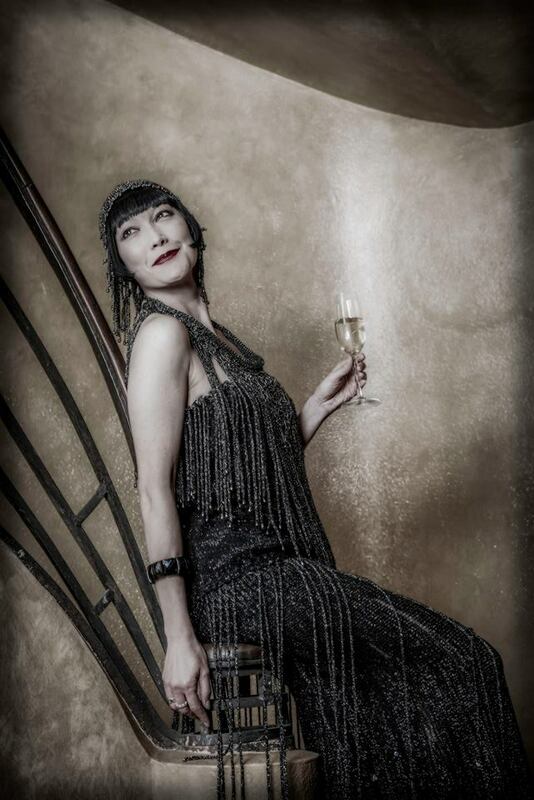 Gatsby Soiree at Nineteen23, Silvermere, 1 Lake St, Wentworth Falls (6pm, February 15): Celebrate the 1920s in Gatsby style in the genuine 1920s country house by dressing in your most terribly swish period attire. There will be a jazz band, champagne fountain and other pre-dinner drinks on the terrace overlooking the Blue Mountains National Park and Sydney plain. Enjoy a three-course meal prepared by chef Will Cowan-Lunn (recently head chef at Rockpool Bar & Grill Melbourne). Cost: $115 per person + booking fee, bootleg extra with dinner. Murder Mystery Events at Sisters Blue Restaurant, Hotel Blue, Lurline St, Katoomba (at 6.30pm on February 1 and 2pm on February 8): Savour a sumptuous three-course dinner on February 1 or a high tea on February 8 while your host sets the scene of murder, introduces the various characters in the game and drops tantalising hints to gradually guide you to identity of the murderer. Dress in 1920s costume as a rich heiress, debonair gangster or a saucy flapper girl. Each person will be assigned a character to play and everyone’s a suspect. Cost: $85 + booking fee (dinner), $75 + booking fee (high tea). 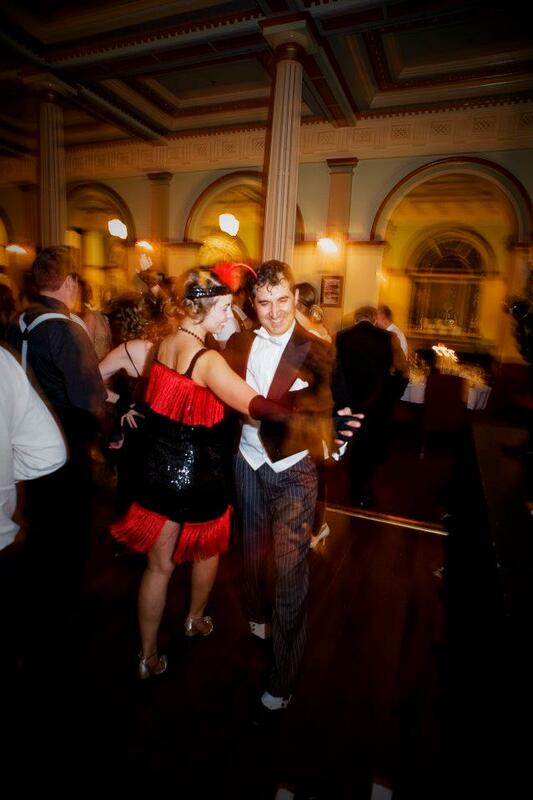 Go to www.roaring20s.com.au for further details and bookings to all Roaring 20s Festival events.